The combination of discussing granny squares and the large number of unfinished projects has prompted me to look at the pile of motifs in one of my cupboards. Suface crochet practice -with beads as well. What you may not have spotted is that some of these are piles not just single squares. Anyway I have counted more than 100. So I thought I would sell them on ebay but you know what it is like, I started thinking about what I might do with them and concluded that perhaps I won't get rid of them yet. But I do wonder if this is a record for unused squares? I am still trying to do at least one thing towards Christmas/Halloween each day here is yesterdays. Isn't he lovely a result of the really thick yarn and big eyes. (I know safety eyes are expensive so I have sourced some at a lower price than usual) we will also be selling these on our etsy shop. 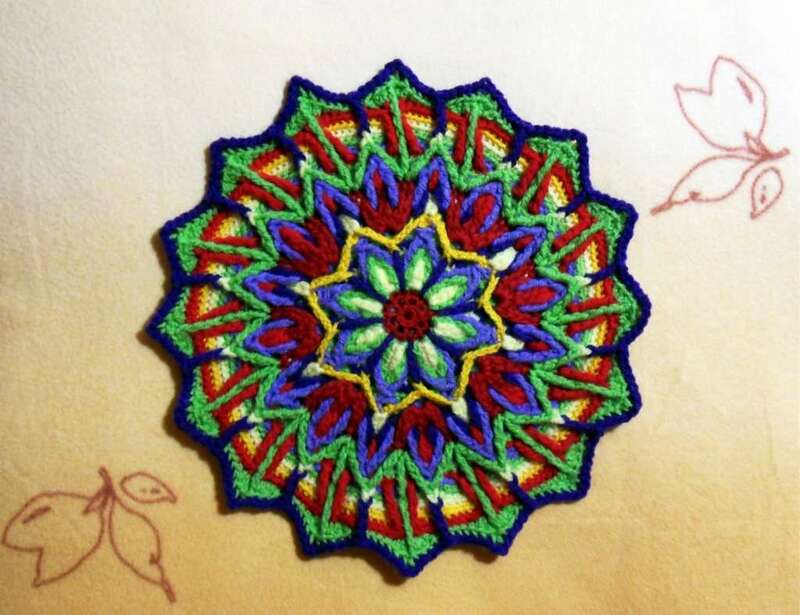 I have been looking at crochet images and found some really beautiful examples of overlay crochet, which I have never tried but I will be. Look here this is called Concuspience - highly recommended . There is also a technique that is new to me at Hazels crochet. Look for the Sunny Daze flower project. I am trying to branch out and share the things I find beautiful, clever and ingeneous. I hope you like them too.